Four generations of Allen Burrus’s family have run the grocery that sits at the heart of Hatteras Island. Burrus hopes he’s not the last. Every morning before the sun crawls out of the Atlantic, before fishermen untie their trawlers and ferry workers descend on the docks and tourists begin to blanket the beaches, Allen Burrus, 62, unlocks his small grocery to meet delivery trucks in the dark — and puts on the coffee that fuels his hometown. 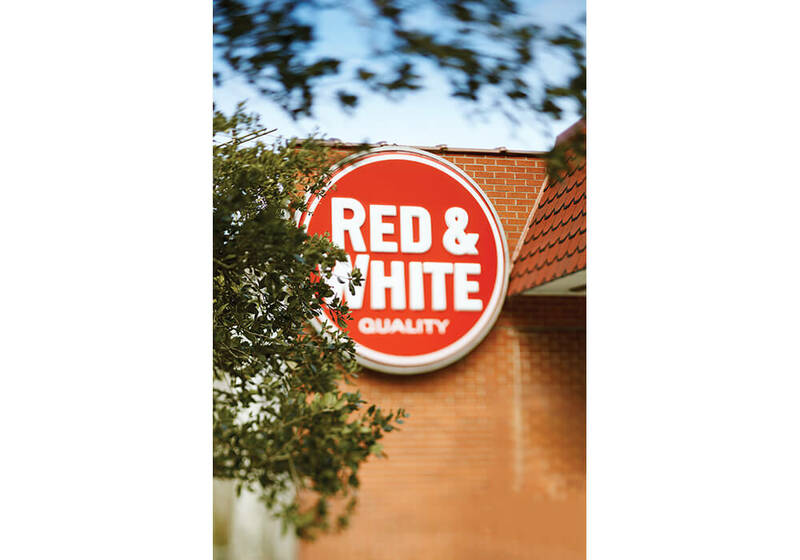 You can’t order a latte or cappuccino at the Red & White. The closest Starbucks is a 90-minute drive away. But past the Rodanthe pier and Avon surf shops, the Buxton lighthouse and Frisco campground — at the southern end of Hatteras Island — you’ll find two burners with glass pots brewing just inside the front door of the Outer Banks’ oldest store. Here, baby bottles hang beside butternut squashes; flip-flops flank Frisbees; and Mrs. Winnie Williams sells her homemade fig preserves in glass jars. A bulletin board boasts fliers for fish fries. Since just after the Civil War, people have come to shop and swap stories, to talk pigs and politics, to connect on this isolated island. The redbrick building hugs a bend on NC Highway 12, across from the volunteer fire department that Burrus’s father helped raise funds for, a mile from the free ferry that carries cars to Ocracoke Island. From the front steps, where fat cats curl in the corner, Burrus can show you both the graveyard where four generations of his family are buried and the roofs of new high-rise rental homes across the street. He can tell you about the sandy tracks where cows used to roam, and his idea for a new causeway that he thinks could save his town. About his grandfather, who helped bring the island’s first ice plant; his brother, who helped corral the last wild mustangs; his kids, who stood on step stools to stock shelves — but have long since moved to big cities. He can explain how his island — and his store — have evolved, and what he thinks they need in order to survive. The storm-swept past and fragile future seem to collide on his covered porch. Hatteras comes from a Native American term meaning “there is less vegetation.” Croatan Indians inhabited the barren beaches as early as A.D. 500. English explorer John White drew a map of the area in 1585 and marked the southernmost cape “Hattorask.” It took more than a century for other Europeans to begin moving down from Virginia to farm and fish off the thin island. Other survivors washed ashore from 18th-century shipwrecks and stayed. “Because our end of the Outer Banks is by the inlet, and because it’s wider than the rest of the island, more residents put down roots here than on other parts,” Burrus says. No government gave out land grants; no planners plotted straight streets. The tiny town evolved organically, first along the Pamlico Sound, then spreading east toward the sand dunes, as its residents weathered winter storms and steamy summers; pulled pound nets and planted gardens; and somehow survived invasions of pirates and Yankees, preservationists and the National Park Service, rising tides, eroding beaches, and increasing droves of summer tourists. By 7 a.m., when the doors officially open, Ballance has clocked in and brewed the second batch of coffee. 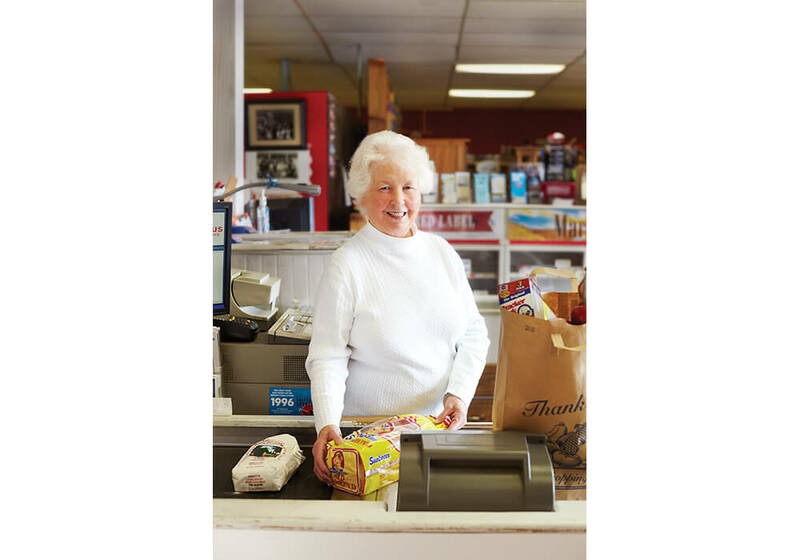 She has worked at the store for 30 years and, like the other nine year-round employees, greets every local customer by name and knows at least half of the summer shoppers. A couple of hours later, while Burrus is checking propane tanks on the porch, a redheaded woman climbs out of a pickup, leaning on a cane. She winces as she struggles to climb the five steps to the store. The closest chain supermarket is in Avon. Since it opened in 1987, Burrus says it hasn’t taken much of his business. Who wants to drive a half-hour for groceries? “But I had to start stocking wasabi, and for a while, I hired a sushi chef,” he laughs. 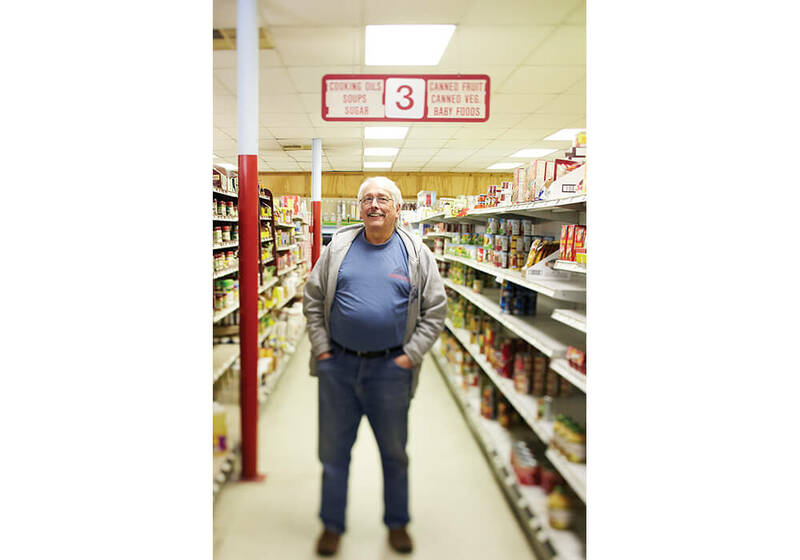 For almost 150 years, his family has been trying to keep up with consumers’ changing tastes. The Civil War turned sailors into soldiers, fishing boats into fighting frigates, and the Outer Banks into some of the state’s most important battlefields. In 1861, when North Carolina joined the Confederacy, Burrus’s great-grandfather and grandfather, Caleb and Alonzo “A.J.” Stowe, outfitted their small schooners as supply ships and became blockade runners, ferrying supplies to the forts and families on the barrier islands. Federal forces took over Fort Clark on August 28 of that year. The next day, the Confederate commander at Fort Hatteras surrendered his 700 men — marking the first Union victory of the war. Historians say that when news reached the White House, President Abraham Lincoln danced a jig in his nightshirt. A historic marker across the street from his store commemorates the “first attempt at reunification,” when Hatteras residents reclaimed their village from the Union troops and agreed to follow the laws of the Federal government. “When they got home, my great-grandfather and grandfather had to kick Yankee supervisors out of their houses. So much of the island had been taken over and destroyed,” Burrus says. Before the war, everyone was pretty self-sufficient. 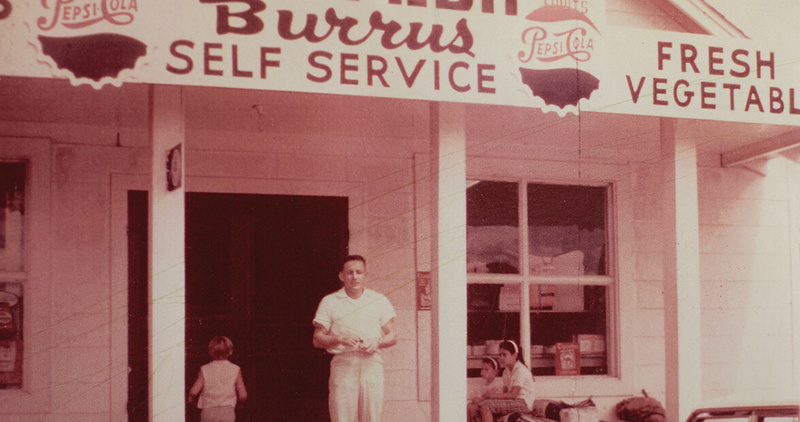 But afterward, Burrus’s forefathers decided to continue helping to supply neighbors — and set up the island’s first store. Caleb had saved $750 prior to the fighting; his son, Alonzo, had $900. With wood washed up from shipwrecks, they constructed an A-frame structure near their home in the center of town. Caleb sawed shelves for a small shop downstairs. His son built a three-bedroom apartment upstairs. A slat fence surrounded the corner lot, which included a windmill. Boats brought in everything else. By the 1870s, Hatteras’s deep inlet had become the state’s second most popular port — after Wilmington. Ships coming through were bringing supplies to mainland towns like Plymouth, Edenton, and Elizabeth City. Stowe’s Store was on the way. Residents across the Outer Banks started sailing there for their supplies. When Alonzo’s daughter, Lucy, married Adolphus Burrus, Adolphus renamed the store. They handed it down to their son William “Bill” Zachariah Burrus, who gave it to his boys, Dale and Allen. Ever since Dale died in October 2007, Allen has run it alone. Photos of his parents and brother still smile from the market walls. Lunch crowds start coming before noon, in trucks, on bikes, and on foot. Ferry workers starting the second shift buy barbecue sandwiches from the deli. Moms pushing toddlers in shopping carts scoop hummus from the salad bar. Sunburned fishermen order take-out containers of Mrs. Bunny’s homemade soup — a different kind every day. After school, four boys bump skateboards down the front steps. “You keeping out of trouble, Matt?” Burrus asks a burly kid in baggy shorts. “Trying,” grins the middle school student. All of his friends are swilling sodas from the machine. He still gives credit when folks need it, still delivers to elderly customers who can no longer drive, still hosts bake sales for churches and holds court with the old-timers. During storms, when the power goes out, he won’t close the store until the tide creeps into the parking lot — and he keeps the generators running so the coffee stays hot. When folks are forced to evacuate during hurricanes, they call the Red & White to see when they can get back on the island. Her husband swears he never meant to grow old here. “But he loves it all: the work and worry, all the people,” she says. “Truth be told, he loves the politics more.” The Red & White gives him — and everyone else on the island — a place to argue about ideas and ideologies, about how far a shotgun will fire and who caught the world-record marlin, about whether to develop the commercial docks or dredge the inlet again, and how to save the endangered island. In the past 20 years, Hatteras Village has lost 150 of its permanent residents. Fishermen are leaving because of increased restrictions; families are moving out because the roads keep washing away and they can’t afford the rising property taxes. Though 50,000 visitors fill the island each summer, only 550 people now call the village home. “All three of our kids moved away, and I don’t think they’ll come back,” Marlene says, loading bags of groceries into her car. She hopes that one day her husband will retire and sell the store. But she doesn’t know who he would be, or what would happen to her village, without it. Many of the homes still had outhouses and relied on coal stoves for heat. There was no trash collection, and there were only a few houses on the beach. And at Cape Hatteras School, the drop-out rate was 50 percent. The biggest changes, he says, came after the Bonner Bridge was built over Oregon Inlet in 1963 and, for the first time, folks could drive to Hatteras Island. Instead of waiting for supply boats, his dad drove to Norfolk to stock the store. He started carrying frozen food, and sweet potatoes and strawberries from Currituck. And he rebuilt the wooden grocery into the bigger brick building it inhabits now. He even joined a national co-op called the Red & White. “After high school, I went to Wesleyan College to study political science. I loved it here, but I didn’t know where I fit in,” Burrus says. During summers, he came home to work as a charter boat mate in the burgeoning sport fishing industry. After he graduated, he took a job on a trawler and toured the north Atlantic. “I didn’t mean to come back,” he says. But after a year, he did. For the past 40 years, Burrus has been anchored at the end of the island; married to his teenage sweetheart; raising his kids in the same store he grew up in; watching his village grow, and shrink; worrying about how to save pieces of the past while planning for the future. He has seen condos grow on lots that used to be filled with crab pots, traffic clog the highway where his kids learned to ride bikes, and million-dollar rental mansions spring up by the marina, towering 55 feet above the sand. He has watched the bridge get knocked down and rebuilt, the road wash away and be restored, the beaches get eaten by erosion and blocked by well-meaning turtle watchers. He also worries about the highway. Storms keep carving away the only access to the island. Instead of spending millions of dollars to try to keep the road clear and rebuild it, he wants the state to build a causeway from Oregon Inlet south through Hatteras. “If we can’t get people here,” he says, “the ones who are here will move.” And visitors won’t keep coming. Every evening, after the sun sinks into the sound, after fishermen tie up their trawlers and ferry workers leave the docks and tourists fold up their blankets on the beaches, Allen Burrus locks his small grocery and says good-night to the workers he’s known for most of his life. They don’t go out for dinner or drinks. The closest club is an hour’s drive away. But on the covered porch of the Red & White, where fat cats yawn in the corner, Burrus lingers with his friends, sipping the last cup of coffee, watching the sky fade to black. With the advent of the Internet, and the store’s Facebook account, foreign students have been contacting Burrus, hoping to work on Hatteras Island. He’s had clerks from Poland, Czechoslovakia, and China. Folks from faraway lands who bring new insights and interests to his little village. The conveyor belts that his dad installed still slide groceries to the cash registers, but five years ago, after customers complained, he added scanners to expedite checkout. A church calendar on the bulletin board still contains the birthday of every kid in town; beside it, Burrus added a stack of The New York Times. In his upstairs office, he still uses the adding machine his father bought, but out on the porch, he updates tomorrow’s soup special from his new iPad. Here, rat traps hang near sheets of seaweed. Hamburger Helper sits beneath gluten-free quinoa pasta shells. You can buy pickled watermelon rind from Nixon’s Family Restaurant or a CD of songs from the Frisco Jubilee. And ever since the Civil War, someone in Burrus’s family has been behind the counter to ask about your mother, reminisce about the last storm, and worry about their beloved island.